If you travel the hunter/jumper horse show circuit – like many of our BarnManager users do – you may have noticed an eye-catching red and orange horse trailer situated somewhere not far from the main ring. That specially outfitted horse trailer belongs to the Humane Equine Aid and Rapid Transport (HEART) equine ambulance service. 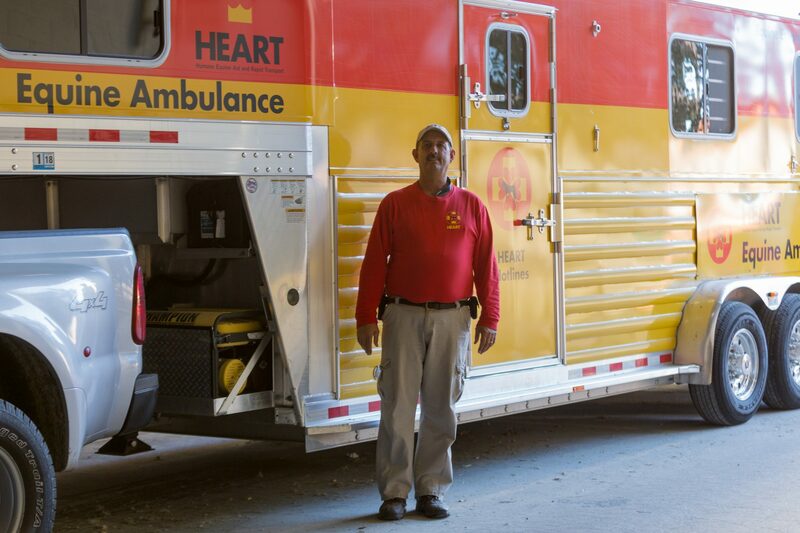 Initially founded in conjunction with the 1996 Atlanta Olympics, HEART was created to provide emergency transportation services for injured or ill horses, and today, the 501(c)3 non-profit organization is an important part of horse shows up and down the East Coast, including many frequented by BarnManager users, such as the Old Salem Horse Shows, the Kentucky Horse Shows, the Devon Horse Show, the Great Lakes Equestrian Festival, Capital Challenge, the Washington International Horse Show, and numerous others. The BarnManager team had the privilege of catching up with HEART employee Erick Nagy at a recent horse show, and Nagy gave great insight into how HEART works, how and why you can support the non-profit, and how having BarnManager as a tool could be extremely helpful should you ever need to utilize HEART or a similar service! 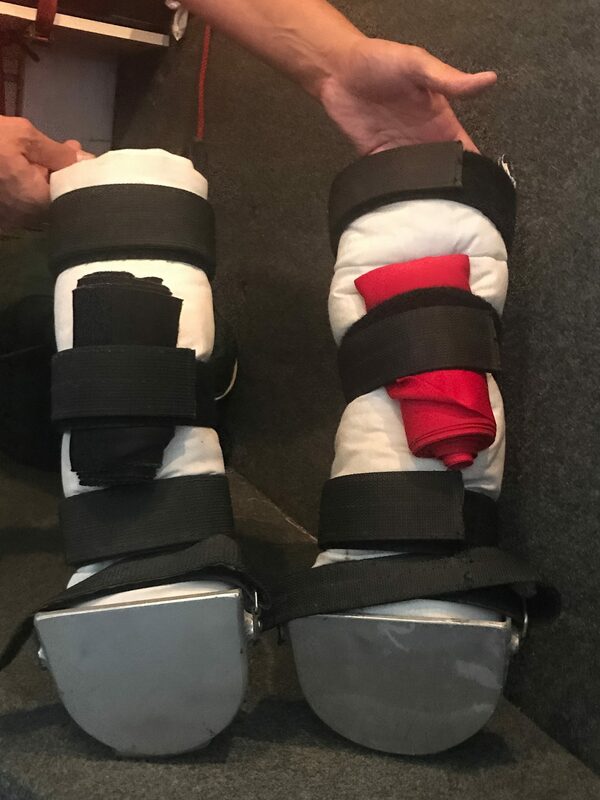 Each year, HEART is hired by more than 40 horse shows throughout the country to be on site and ready to properly transport horses in the case of an emergency illness or injury. In the case of an injury where the horse is unable to stand, HEART’s highly-trained staff is able to utilize a specially-designed sled to load the horse into the customized HEART trailer that then allows the attending veterinarian ample room to consider treatment options. Nagy was also quick to point out that when at a horse show, the HEART ambulance and staff are not only available during the competition hours, but rather are on call 24/7 and readily able to assist in the case of colics or other after hours emergencies – a valuable resource that has proved vital in several unfortunate situations. In the case of an emergency situation, the HEART staff member or members assisting the horse will require the horse’s basic information. Additionally, should the horse be transported with the HEART team and without an accompanying owner, rider, or trainer, as is often the case, the HEART staff will need further additional information on the horse upon arrival to the veterinary hospital or clinic. That’s where BarnManager is able to provide a resource that simplifies the process amidst a stressful situation! With all of the horse’s information stored within the BarnManager application, the user can quickly pull up the records and show or send them to the HEART driver, saving valuable time in an emergency. And while BarnManager can help those who must use HEART’s services, there is more that can be done to help HEART. Horse shows pay HEART for the onsite services that they provide, but, as a 501(c)3 organization, HEART is not able to make a profit. Instead, the funds received from horse show’s simply cover the HEART ambulances operating costs – not additional equipment, upgrades, or education.